Ask the Expert: Is Your First Offer Really Your Best Offer? There is an adage in real estate that your first offer is often your best offer. Perhaps you’ve heard of this phrase, but do you agree with it? While there are times when your first offer is unquestionably your best offer, there are also plenty of instances where that is just not true. Let’s explore some of the pros and cons of accepting the first offer that comes in. According to a Zillow article, your first offer is always your best offer. “Always” is a strong word and I don’t support that statement, but there is some evidence to prove why the first offer that comes in can be a clear-cut choice. Zillow’s article explains the evolution of the homebuyer process—in short, many buyers do not make an offer on a home straight out of the gate once they begin their search. However, by the time they are educated and become a “real dealer,” as Zillow coins a ready-to-buy-buyer, they are informed enough about the market to take the plunge and make a serious offer if they really want the house. Since these real dealers know the market and what they are looking for, they are poised and ready to strike when a home comes along that meets their needs. They could indeed be your best offer. US News also weighed in on when it is appropriate to accept your first offer. Here are some instances that could lead to your first offer being the best one to accept. First, if the timing is ideal, then the offer could be worthwhile to agree to. Also, if the offer is cash, this could be the one because cash buyers can typically close quickly and with less hassle. During times when the buyer pool is limited, it may be advantageous to go with the first offer on the table since the prospect of getting another offer might be slim. Another reason to take your first offer is if you have already identified another home and need to sell quickly. Of course, there are good reasons to not accept the first offer that comes in as well. In the past, I have received blind offers on homes that were well below market (typically sent by investors who were looking for a steal). It’s reasonable to nix those. Any time the price or terms are extremely unreasonable, it can be worthwhile to reject the offer and feel out the market. It’s important as a seller to not come across as desperate to sell. Any time a buyer can sniff out desperation, they are likely to try and take advantage, which can hurt your bottom line as a seller. When you are selling your home, it is important to remain objective about the market conditions and price to determine if the first offer than comes in is viable or one worth skipping. So, when your first offer comes in, take a breath, review the pros and cons, and decide if this seems likely to be the best offer to accept. 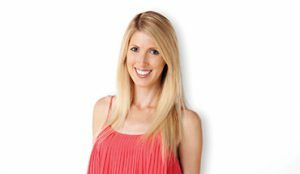 Holly Schwartz McDonald is a Realtor with Villa Real Estate who lives in Newport Beach and has been featured on HGTV’s hit show, “House Hunters.” She can be reached at HMcDonald@VillaRealEstate.com with comments and story ideas.